You have no doubt been in a situation where you’ve had to slam on your brakes, thankful that they work so well. Applying your vehicle's brakes is an example of stopping kinetic energy, which is present when your car is moving. Most automobiles today have anti-lock brakes. The ABS, or anti-lock braking system, is a four-wheel system that modulates braking pressure automatically during a quick stop. When the brakes are engaged, fluid is forced through a set of valves from a master cylinder, causing pressure that is transmitted to the hydraulic control units at each wheel. 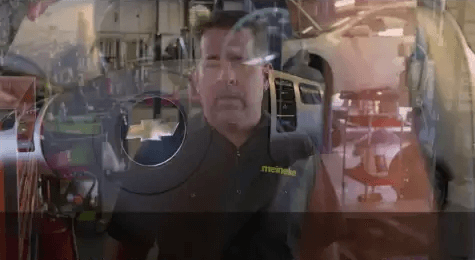 You can learn more about ABS from the pros at Meineke #1372 in Overland Park, KS. You never know when you’re going to have to make a quick stop while driving your car. It is critical that you be able to trust your anti-lock brakes when faced with an emergency situation. If you have passengers in your vehicle, children especially, the need for safety is even greater. Regular inspections are the best way to make sure that your brakes are in peak condition. At Meineke #1372 in Overland Park, KS, we offer excellent ABS brake service, including timely and cost-effective inspections. Some people think that the funny little sound their brakes are beginning to make can be eliminated with a simple fix. They begin looking around, wondering where to buy brake fluid and spend some time considering options, such as silicone brake fluid versus mineral brake fluid as well as overall brake fluid cost. Meanwhile, the funny sound turns into an annoying screech and the smart driver will realize it’s time to take the car to Meineke #1372 in Overland Park, KS, for an inspection. Signs of potential brake failure can appear suddenly or gradually. In some cases, the brake pedal may go out, while in others you may notice a creeping increase in the time it takes to stop your car. Strange noises while braking can also indicate a problem. 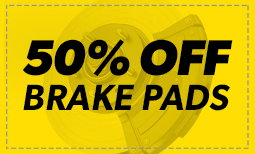 Faulty brakes decrease the control you have over your car and can lead to a serious accident. If you notice a problem with your brakes, have your car checked immediately. Contact the car repair professionals at Meineke #1372 in , KS for repairs and maintenance to your brake system. The anti lock braking system is key to optimal vehicle safety. It is one of the most important components of your car, and any malfunction is a sign that you need to get it checked right away. While some ABS problems can be fixed with relative ease, others mean that it is time to replace the entire system. A major sign that you may need a new ABS is when your system kicks in randomly, even under normal driving conditions. This indicates a high likelihood that both the sensors and the control unit are malfunctioning. Learn more about ABS replacement or upgrade at Meineke #1372 in Overland Park, KS. Keeping your brake system in good order and replacing it as necessary is one of the most important car safety precautions you can take. For this reason, it is essential to have an experienced car professional to rely on. From knowing where to buy brake fluid that is right for your system to resources for ABS brake service, your service center helps you to keep your brakes in top condition. 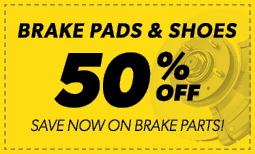 Visit in Overland Park, to learn more about brake replacement and maintenance.